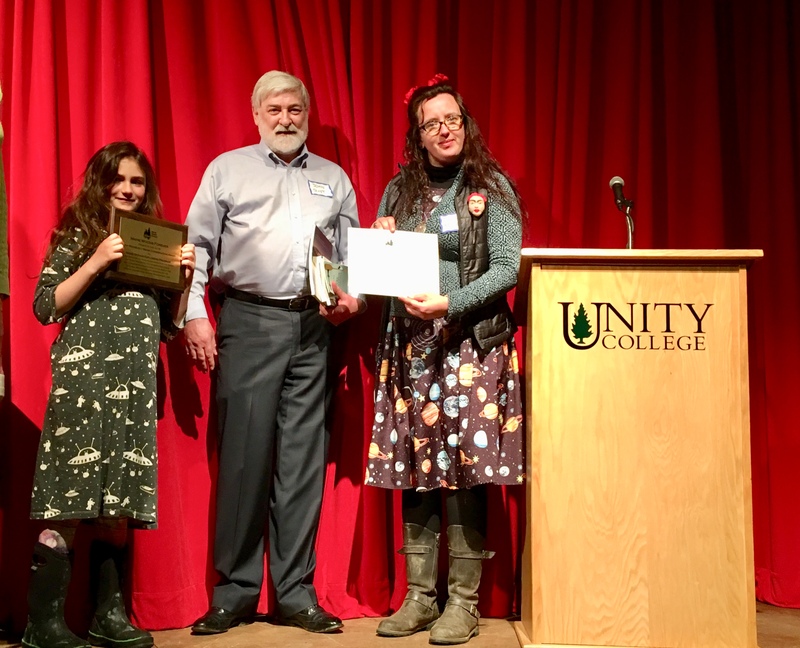 On April 13 2018, the Natural Resource Education Center at Moosehead (NREC) was recognized for its contribution to outdoor youth education in Maine. NREC was presented with the Teddy Roosevelt Conservation award by Maine Woods Forever, a non-profit organization dedicated to protecting the legacy of Maine’s forests and woodlands. The Teddy Roosevelt Maine Conservation Award recognizes young people and youth organizations whose efforts are in the spirit of Roosevelt’s conservation ethic and achievements, and recognizes what Maine’s young people are doing to conserve our forest heritage, with an eye to their potential as future conservation leaders. “The Teddy Roosevelt Maine Conservation Award honors today’s young people and the legacy of America’s most celebrated conservationist, President Theodore Roosevelt,” notes John Rust, a board member of Maine Woods Forever and chairman of this effort. “Many credit his rugged sojourns in Maine during the late 1800s with shaping his determination to conserve our natural world.” NREC’s Maine Woods Explorer program is geared toward children 8-12 and runs for six weeks during the summer school vacation. The youth program was started with a Department of Education grant. Currently, the program is funded through donations, participant registrations, and smaller grants. The summer program gets kids out in the woods and on the waters of the Moosehead Lake region, combining outdoor recreation with education. The goal of the program is to get kids outdoors, connect them to nature and foster a sense of place so that they will not only appreciate the natural resources around them, but also become good stewards of these special places in which we live. NREC hires two staff members to supervise the weekly adventures and we are very grateful for the assistance from a host of volunteers from the community.